So I decided to write another article, and include into it some frequently asked questions, and some photos of me and my friends. Cycling in Istanbul. Not bad, eh? Q: I heard many horrible stories about cycling in Istanbul. Is it impossible to cycling in Istanbul? Q: But I heard that Istanbul is not a bike-friendly city? A: Yes. Istanbul tops list of Europe’s most congested cities. And drivers show almost no respect and pay no attention to the cyclists. But it is possible to survive in Istanbul, you just have to be very careful. Never, ever say “s/he saw me, I can safely go in front of her/him”. Traffic in Istanbul. The place in the other photo above (two cyclist on a pleasant road-one of them is me) is around 50 minutes by bike from the place in this photo. Q: Should I bring my bicycle to Istanbul, or is it possible to rent a good bike? A: If you are a serious cyclist, I mean a roadie or a triathlete, you should bring your own bike here. It is impossible to rent a road bike in Istanbul. Q: Can I find any English-speaking group to ride with? A: Yes. Most of well-educated people can speak English in Turkey, and most of the roadies are well-educated. Q: Can you help me to find a group to ride with? A: Yes. I personally know almost every serious road cyclists or triathletes in Istanbul (in fact, there aren’t many). Q: Can I find bicycle parts, or a good mechanic in Istanbul? A: Partly yes. Some popular bicycle parts are available here, especially Shimano parts. But for instance Campagnolo parts are nearly impossible to find. And yes, there are some good mechanics in Istanbul. You can also find popular bicycle brands such as Giant, Trek, Cannondale, Specialized etc. in Istanbul. Finding high quality bike wear can be problematic. And prices of the bikes, components and clothes are above European standards. Q: Does Istanbul offer any good climbs? A: Partly, yes. Istanbul is a hilly city, but don’t expect to find a L’Alpe d’Huez here. Highest elevations are around 200-220 meters. But many. Q: Should I bring my winter clothes? A: Yes, if you’re coming to Istanbul in winter. Most of the Europeans (or Americans) think that Istanbul is an Arabic city in desert. Simply, it’s not. 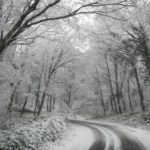 It is cold, humid, rainy, even snowy in winter (see the photos below). The first photo is from last winter, near my place. But compared to many other European cities, climate is not so bad at all. The city is really hot in the summer, like the rest of Turkey. Feel free to drop a message here, if you have further questions (message form is at the bottom of this page). As I said before, I know almost every serious roadie or triathlete here. I am also a licensed racer, and competing in masters events (30+). Here are some photos of me and my friends below. Me and my friends are climbing the Nakkas hill. 2012 summer. Istanbul, at the top of the Nakkas hill. Istanbul, Kemerburgaz. Before the group ride. Istanbul, Bahcekoy. A coffee break. Iljo Keisse and me, just before the start of Tour of Turkey stage 8. Keisse was the hero of the 7th stage. Hagia Sophia is at the background. Tour of Turkey stage 8, before the start. Riders are having coffees. Before the start of Tour of Turkey 2012 stage 8, Istanbul. Tour of Turkey 2012 stage 8, Istanbul, before the start. With Tyler Farrar, after Tour of Turkey 2011 stage 1, stanbul. thank’s for this article. I’m soon moving to Istanbul and I’m currently looking for cycle and/or triathlon clubs to hook up with. do you have any tips for where to find them and how to contact them? you can contact me at any time you want. We have a group here, members are road-racers, triathletes and ironmans. I personally know Turkey’s almost all ironman’. Hello to all, I am looking for triatlon clubs/ activities ın Istambul, if possible in Anatolian side, I sent an e-mail to Ozgur but any reply here will be appreciated. Hi Roberto, i sent you a reply by email. I am planning to be in Istanbul for 2 weeks starting Aug 11th. And after seeing your post I was hoping if you could give me some guidance. I was considering bringing my bike and riding some rides during this period. (I am training for a triathlon in Nov). I don’t speak the language and although I have stayed in the Besiktas area, know very little of the suburbs. Would you think it is possible to get some rides in during the period, I know it will be Ramadan and hot? Hish Omran, I am sorry, I was on vacation and couldn’t see your message. And now it’s September. Anyway, if you come to Istanbul again, I can happily guide you. Happy pedaling! Hi! I´´m moving on august to Istanbul on a erasmus that will last a year. I´m a spanish triathlete, and one of my biggest worries is if I´ll be able to train the bike there. It really is a relieve to read this and see it is posible. The main doubt that I have, is if can take my bike there, because I´ve been told that it is a little bit dangerous. I have a orbea orca, do you think there would be any problem? Also I would be really glad if I could ride with you guys! It would be better to bring your own bike here. It’s almost impossible to find an appropriate road/triathlon bike in Istanbul. The traffic is dangerous yes, but we don’t ride on the busy roads. We go out of the city and/or start early, ride on the less busy roads. There’s always a bit of danger of course, but it’s also a part of the sport. Where will you stay in Istanbul? Yes of course there is always that bit of danger on road cycling, that usually happens everywhere. I´m afraid I’ll be bad located, as I might be staying at ŞIŞLI/MECIDIYEKOY or TAKSIM, but I hope there is a way to reach the starting point. Well, Şişli/Mecidiyeköy and Taksim are not the best places for cycling, but the good thing is, they’re not far from the Bosphorus. If you get up early, the road near the Bosphorus will be empty. There are a lot of cyclists use that road. I also use sometimes, especially in weekdays. Do you/will you have a car? If so, you can join our weekend rides. We start about 40 km out of Istanbul. Hello, im looking for a group of cyclists to cycle with, i see them all the tome, but i have no idea how to reach or join any of them, could you point me out to some of the groups pleas? 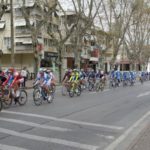 I am a female cyclist moving to Kadikoy in Istanbul with my husband and kids and would like to find a tri club to train with or even just a biking club to go out with at the weekends. My husband also runs ultra marathons and would love to hook up with a running club for early mornings, evenings or weekend runs. He plans to do Ultra Marathon Mount Blanc in August and has secured a place. Hi Terre, I sent you a reply by email. Ceren, I am sorry, maybe it’s too late to answer. We do long and intense rides, beginning from Kemerburgaz and Bahcekoy (Sariyer). If you still interested in, contact me. We at furiousgreenideas.com will be cycling from London to Istanbul in August/September this year using the EuroVelo network. We are arranging to meet with cycling organisations along our route as a way of promoting cycle tourism and sustainability. I wanted to ask you if you have any contacts within clubs or cycling groups in Istanbul with whom we could link up and write a piece about on our arrival in the city. Indeed, if you want to meet and accompany us into the city that would be awesome! For more info and our route check out our blog. Thanks for your message. I don’t have any contact with the tourism or transportation related groups. But I made an announcement on my facebook account, if I get any reply, I’ll share with you. Let’s keep in touch, I can offer routes to you in Turkey and yes, if I will be able to, I can meet and accompany you. I’m going to be moving to Istanbul in a couple of months (November 2013 – in time for the marathon hopefully) and it would be great to find a group to go riding with. Would you be able to put me in touch with any cycling, running or tri clubs? Done several triathlons and not sure I can give it up completely while I’m in Turkey! Hi Alex, I sent you an email. Cheers! I am looking for a triathlon / racing bike club on the European side near Arnavutköy/Bebek, and ‘I’d like to ask if there is any racing bike rental around, as I couldn’t bring my own bike.. thanks for your help, it is much appreciated! Hi, Lena… the only place to rent a bike, as far as know, is Aktif Pedal. They’re Specialized bikes dealer. I also live in European side, and there are also a few female triathletes in/around Bebek. I sent you an email, when you come to istanbul, I can introduce you to them. Unfortunately, there is no racing club in Istanbul, but we do group rides, the group contains some of Turkey’s best triathletes/road racers. as the others i’m moving to Istanbul for a couple of month, than could be for much more! !Since last spring I was training and attending Triathlon Sprint race and I don’t want to stop due to the transfer!! Are there, in Istanbul, race of that kind in the Spring/Summer period? And about training, I read all the posts above talking about cycling, I would be very glad if you can send me some contacts…running won’t be a problem…my concerning was swimming, I was doing some research on the net and I cannot find any pools which are not in Hotel? !Is it possibile?Hope to be in wrong!! As far as I know, there aren’t many triathlon races in Istanbul, maybe two or three in a year. But I have a lot of triathlete friends and they are frequently going to races around Istanbul. Of course, I can introduce you to the triathlon community here. We do also group rides. If you’ll move to European side of Istanbul, you can join us. But there are other training groups at the Anatolian side as well. There are swimming pools in Istanbul other than hotel pools, don’t worry about that. Are you out at the weekends ? Or in the week ? I think you’re in Istanbul now, right? I do ride both weekdays and weekends, usually 4-5 days in a week, if the weather permits, of course. I live in the European side of Istanbul, near Belgrade Forest (Bahcekoy/Sariyer). We do group rides at weekends. If you want to, you can join us. Are you in the European side? I’m planning on moving to Istanbul in 2015, and now that I know that there is a cycling/triathlon community, I’m even more excited! Looking forward to the move! I hear Istanbul is an amazing city, and without even being there it has captured my heart! Thanks for the comment, Shawn! Hope to see you in Istanbul! Hi, your post has given me hope! I’ve moved to Istanbul for about a year, living in Beylerbeyi, and I brought my bike, but I’ve been a little intimidated by the traffic and unable to find a group to ride with. I would love to hear about the local groups, if you could help me out a little. I live in European side, and we do group rides,especially in weekends, around Belgrade Forest, Kilyos, Yassioren, etc – in short, northwest Istanbul. If you able to, you can come and join us. Otherwise, there are some road bike and triathlon groups in Anatolian side, too. Do you use facebook? If so, find me on facebook (by searching Ozgur Nevres), or send me an email to cycling.passion.com@gmail.com, I can introduce you to them. I’m moving to Cihangir this August (2014) for two years. I am an aviid cyclist and swimmer (especially open water). What is the real practicality of being able to use my bike for commuting around the city (I am currently living in Mexico city so am used to lots of traffic). Also, I have looked into swimming and it seems very expensive, with very few municipal pools. It also seems difficult to enter the municipal pools. Do you have any advice, or emails of people who are managing to cycle and swim in central Istanbul successfully? As I wrote in the article, Istanbul is definitely not a bike friendly city. I cannot compare it with Mexico City, but I guess Istanbul is the worse. But it is still possible to commute in the city, and some people do this. I have no idea about municipal pools. I know some olympic-size pools in Istanbul but probably you already checked them on the Internet. In summer, it is possible to swim in the Black sea. Now I am not in Istanbul for a while, but will return back in the beginning of August. If you do road biking, you can join our rides. Hi, I will be spending a week in Istanbul from this coming weekend and I am wondering wether it is sensible to bring a bike to do a couple of early morning training rides. We will be staying close to the waterfront. If I get out really early are there any bike routes that are accessable that then bring you to safe open roads…or long climbs for hill training. I am participating in the Haute Route in September….currently debating if I just leave the bike behind for the week. Which area will you stay in? There are a lot of place close to the waterfront in Istanbul. Yes, in summer, Istanbul traffic is relatively light compared to winter, and if you get up early, there are some bike routes and safe open roads suitable to training rides. It depends on where you stay, of course. As I wrote in the article, there are a lot of short-but-steep climb in Istanbul, but there isn’t any long climb. The highest elevations are slightly over 200 meter. Edit: next week is a religious holiday in Turkey, and this is the best time to cycling in Istanbul. A lot of people will leave the city to the South. I sent you a mail this week, would love to join for some rides in the near future. I just moved to Istanbul last month and brought my bike with me. Hope you can let me know which days you cycle, from where, which starting times etc. Thanks for the help! sorry for the late response. I sent you an email but I am copying the email content here too. As an example, I am sending you today’s ride link on strava. We usually start from Gokturk in weekends. There are a lot of cyclists in and around Gokturk. I´ll go to Istanbul in September and will stay there until the end of January and because I´m a cyclist and race I want to take my bike with me but I´m not sure if its worth of it. Can you give me some references or contacts for the people who are riding a bicycle and who can I join? I was looking for some teams or groups but unfortunately didn´t find neither. Sorry for the really late answer. If your program is unchanged, you can contact me when you arrive Istanbul. Where will you stay in Istanbul and what kind of bike do you ride? You will stay here almost 4-5 months, I think it is worth to bring your bike. Hi, I’m looking for a cycle shop in Istanbul and stumbled on this page! Is there any that you can recommend for an entry level road bike? Thanks! Bike prices are really above the EU or US standards in Istanbul, so I would recommend you to bring your own bike, or buy a new one in your own country then bring it in Istanbul. If this is not possible, there are a few bike shops: search for “Delta bisiklet”, “bikeandoutdoor”, “aktif pedal”, “sedona bisiklet” etc. for the next 2-3 years i will live near Istanbul in Gebze… i searching for cycling teams around there for training and tours…iny information? Unfortunately, Gebze is so far away from me, it’s not in Istanbul borders. And probably there’s no serious cyclist live in there. It’s a working class district and unlike Europe, cycling isn’t a working class sport here, since it’s really expensive, especially for Turkey standards. But if you have a car, you can go to Bostanlı (Anatolian side of Istanbul). There are a few roadie groups there, they’re riding usually in weekends. is there more info about the road cycling club in Bostanli you mentioned? I live in Atasehir which is so close to Bostanli! Also is there any cycling club in the European side? I have been to Belgrade forest one and I found it a great place for road cycling. Hi. It is quite some time since you wrote this article, so not sure if you’re still reading comments, but in case you are… I moved to Istanbul at the start of this year. I’m using an indoor trainer during the week but wonder if you know if groups that I might be able to join on weekends? Being so new, it would be really helpful to join others as I have very little idea of where to head to get away from traffic. I’m of moderate ability and I live in Cihangir. I live in Bahçeköy, near the Belgrade forest, in the North of Istanbul. It was a good place for cycling until two years ago. Unfortunately, Istanbul is growing like a cancer and Bahçeköy is no more suitable for long rides. Long story short, I still do short rides around Bahçeköy, for example, if I woke up early, I go to Bosphorus etc. But for the long rides at the weekends, we go out of the city by car and start from there. Do you have a car? If so, I can send you the starting point. It’s about 45 minutes drive from Cihangir. Hey there! I’ll be in Instanbul for a week this summer. June 25- June 30. I would love to do 2-3 bigger rides (30-75mi, 15-18mph avg) with anyone who would like to show me around in the area. I would also need to rent a 48cm women’s road bike, or similar (can ride 51cm but prefer not to). Please let me know who I can connect with! Will have pedals, helmet, shoes, and other gear. In which area will you stay in Istanbul? (it is quite a big city). If you stay close to me, I can be your guide, as I did many times for the people who doesn’t know the city. But finding a road bike for rent, especially a women’s road bike is problematic in Istanbul. It would be better to bring your own bike. I can ask friends for it, but I cannot guarantee. If you can’t find a solution, email me a couple of weeks before you come here and I’ll ask friends if I can borrow or rent their bike. how about road races in turkey…i have checked http://bisiklet.gov.tr but all is in turkish. I was also a racing cyclist but I stopped this year. Yes you can enter a team, and I can introduce you to an Istanbul based cycling team (an amateur team, since cycling is not a popular sport in Turkey, there’s not many options). There’s only 1 continental team in Turkey (Konya Torku). Street races? Not such thing exist in Turkey. Only a handful of road races. what do i need to sign up for this races? Only a licence from Turkish cycling federation (probably the UCI licence would be enough, I am not quite sure, but if it’s not, it’s really easy to obtain a licence here). A few days before the race, online registration opens, so you can sign up from the federation’s website. You can participate in either with a team or as an individual. Hi! I am doing a school project on cycling in Istanbul. I need to contact some cycling groups in Istanbul. Do you know any that could benefit me? what kind of cycling groups do you want to contact? I mean commuters, mtb ers, roadies? I’m a triathlete and moved to Istanbul for work in this April from Tokyo. I’m eager to continue my workouts so look for triathlete or cyclist community/team here and found this site. Really appreciafted if you could introduce some communities or let me join your ride. I live around Sisli. Sorry for the late answer. Most of the triathletes/ironmans in Istanbul live in Kemerburgaz/Gokturk, about 12-13 kilometers from Sisli. Do you have a car? You can join group rides going the starting point in Gokturk by car. Somatimes the group start at Tayakadın, a village about 50 km from Sisli. They told me that customs will give me a problem if i bring my used road bike. What do you recommend i do? No, this is not true. There will be no problem at the customs. I (and lots of my friends) transferred my road bike abroad many times. The point is: you have to bring the bike with “you” (do not ship it by UPS or something).